Casting for the 2018 Young Han Solo film has been under way for a little while now. A few weeks ago a rumored short list for the lead role was leaked and now Star Wars News Net have a few more names to add to the list of young actors in consideration. According to their sources, Taron Egerton (Kingsmen: The Secret Service) and Alden Ehrenreich (Hail, Caesar!) are being considered for the role, Egerton having auditioned "more than once" for the film. They also report that Idris Elba had a meeting with Lucasfilm recently, although for what is unclear. Other actors who have previously been rumored to be in consideration for the young Han Solo role include Dave Franco, Scott Eastwood, Miles Teller, and Ansel Elgort. The Han Solo Anthology film (or "Hanthology", if you will) is slated for a May 25th, 2018 release. The film is directed by Phil Lord and Chris Miller (The Lego Movie, 21 Jump Street) and is written by legendary Star Wars writer Lawrence Kasdan, who co-wrote The Empire Strikes Back, Return of the Jedi, and The Force Awakens, and his son Jon Kasdan. Just because Ingruber is a great impersonater does'nt make him a good actor. I'm glad I'm not alone in this thought. Ingruber does a great impersonation of Ford and looks remarkably like him but I don't think that is going to be enough to carry a film with as little acting experience as he has. I hope fans don't just refuse to give the film a shot because they decided not to use Ingruber. Honestly Egerton is the first name to kind of excite me as he has shown he can carry a film and he does bare a slight resemblance to Ford (not perfect mind you, but I don't think Lucasfilm is going to wrack their brains trying to find someone who looks 100% alike). I agree, Daniel. 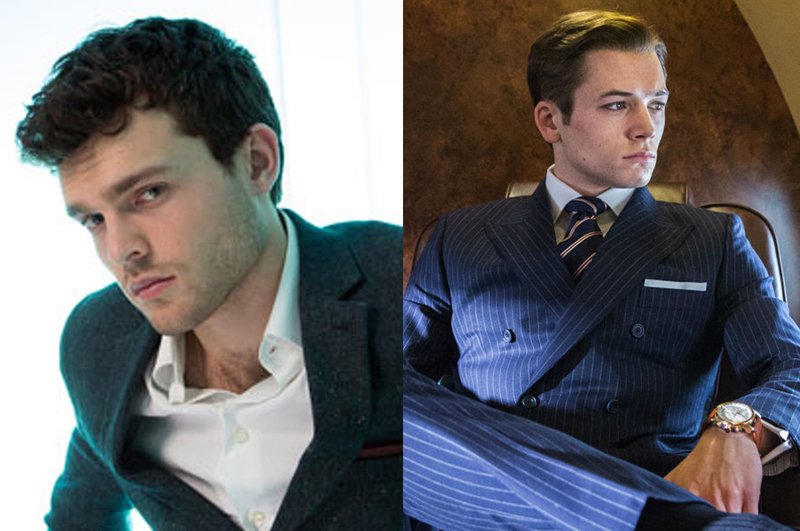 Taron is my new favorite for the potential actor choices. He was great in Kingsman, and Ingruber, although he looks quite a bit like a younger Harrison and he can do impressions, I just don't think he has the ability to carry a whole film. Here's an example of his acting ability and while it's not the worst I've seen, it's not great either. Granted he isn't playing a Harrison Ford character in this film. Ingruber is the only option! How is this even a debate?!? !